An ex-nurse who admitted going online and encouraging people to kill themselves was convicted Tuesday assisting the suicide of an English man and attempting to assist on the suicide of a Canadian woman, following a legal battle that has spanned more than four years and led to the reversal of part of a Minnesota law that outlaws the practice. Rice County District Judge Thomas Neuville ruled that the state proved that William Melchert-Dinkel, 52, of Faribault, assisted in the suicide of Mark Drybrough, 32, of Coventry, England. He said the state failed to prove Melchert-Dinkel's assistance was a direct cause of the suicide of Nadia Kajouji, 18, of Brampton, Ontario, but found him guilty on a lesser charge of attempting to help her take her life. 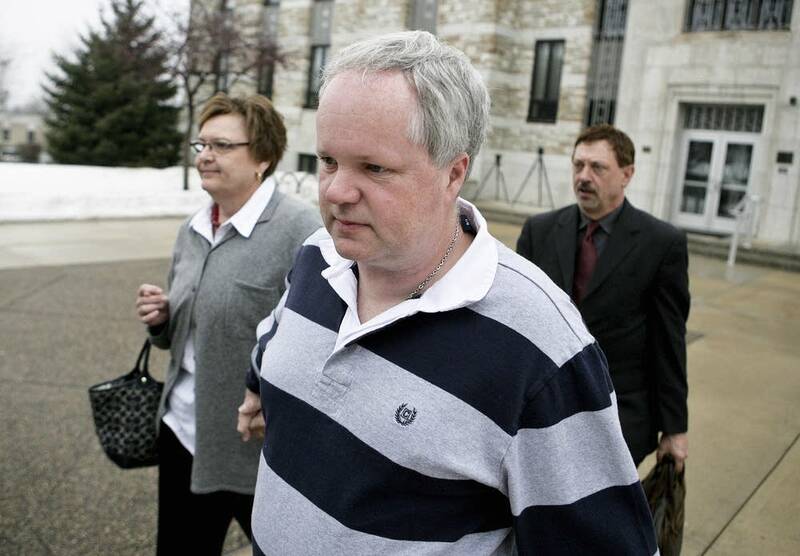 Neuville scheduled a sentencing hearing for Oct. 15. The same judge had also convicted Melchert-Dinkel in 2011 of encouraging the two suicides but put his 360-day jail sentence on hold pending appeals. The Minnesota Supreme Court reversed Melchert-Dinkel's conviction in March, saying part of a state law that made it illegal to "advise" or "encourage" suicides was an unconstitutionally broad restriction on free speech. However, the justices upheld a part of the law that makes it a crime to "assist" in someone's suicide. The ruling said speech alone can be used to assist or enable a suicide if it is narrowly targeted to one person and provides that person with what is needed to carry out the act. The Supreme Court sent the case back to the lower court for further proceedings because the judge did not rule at the time on whether Melchert-Dinkel actually assisted in the two suicides. Kajouji jumped into a frozen river in 2008, and Drybrough hanged himself in 2005. Evidence in the case showed Melchert-Dinkel was obsessed with suicide and sought out depressed people online. He posed as a suicidal female nurse, feigning compassion and offering step-by-step instructions on how they could kill themselves. He acknowledged participating in online chats about suicide with up to 20 people and entering into fake suicide pacts with about 10, five of whom he believed killed themselves. At a hearing last month, Assistant Rice County Attorney Terence Swihart said Melchert-Dinkel provided Kajouji and Drybrough with specific information on methods for killing themselves, going beyond merely expressing opinions. But defense attorney Terry Watkins said there was no evidence to prove that Melchert-Dinkel's advice led directly to their deaths.